French Little Thing: O que é Nacional é Bom ! Portuguese Nation being featured abroad Portugal ! 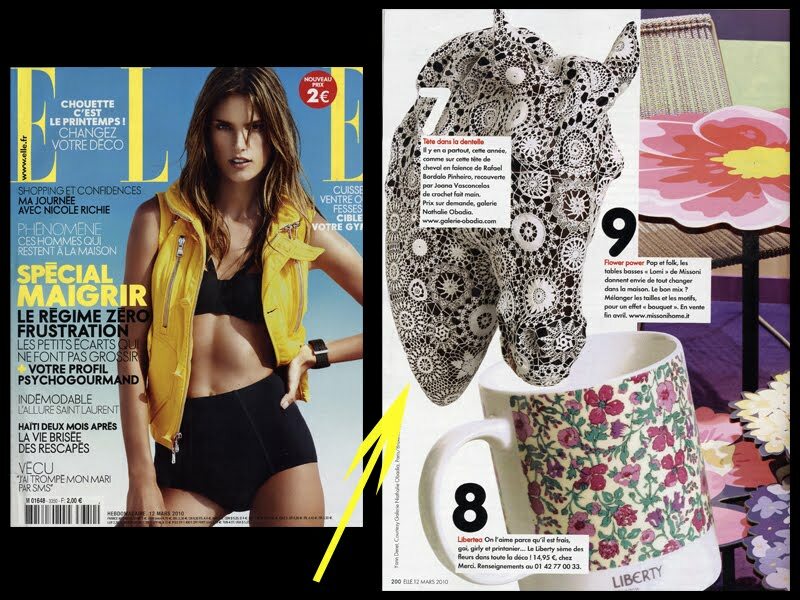 French Elle of March featuring the portuguese artist - Joana Vasconcelos. 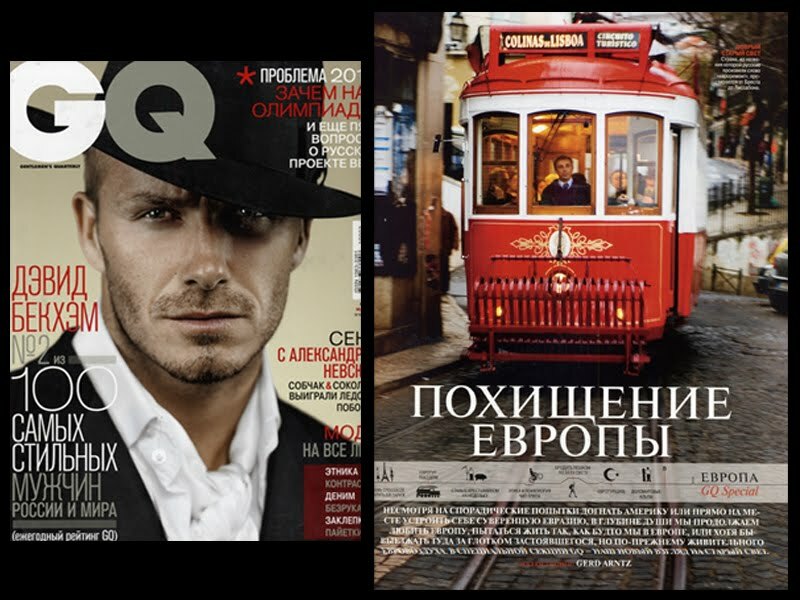 Russian GQ of March featuring the city of Lisbon. 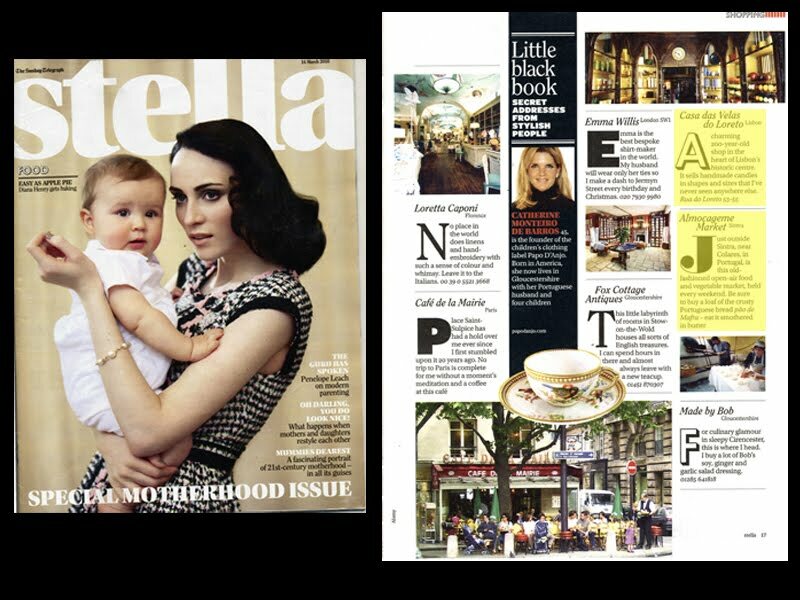 Sunday Telegraph magazine featuring "Casa das Velas do Loreto" an old manufacturing shop of candles and "Mercado de Almoçageme", the local market of Almoçageme near Lisbon. 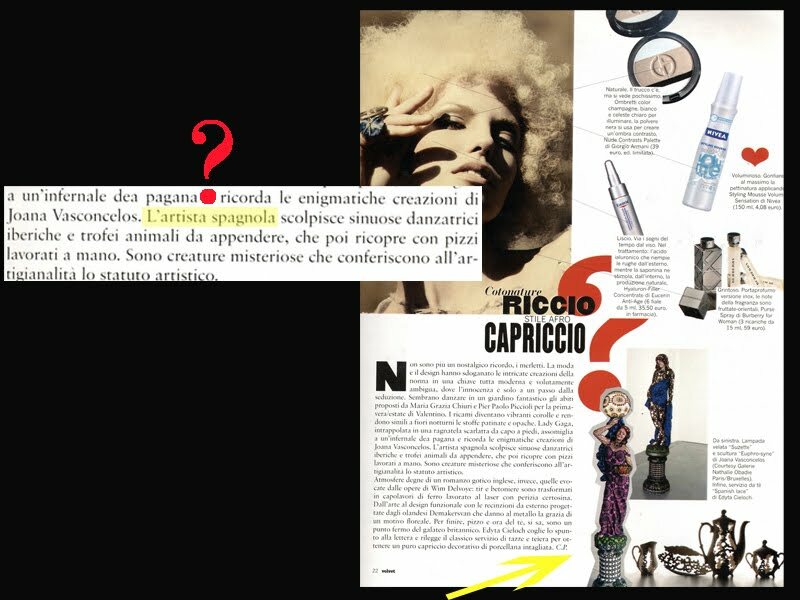 April issue of Velvet (Italy), featuring artist Joana Vasconcelos but with a big mistake on the text (something that I expected from italian Nation, has I deal with it every day). Look down, they mention that the artist is Spanish ?????? This is something that happens very regular here in Italy, often I say I'm Portuguese and they say - so you speak spanish. Believe me this happen lot of times and comes from people that have a high degree of education and are supposed to have some level of knowledge. But don't worry Portuguese I already sent an e-mail to the magazine newsroom mentioning the error.